Anthony Bueti is a New York licensed physical therapist at Professional Physical Therapy. After graduating from Juniata College with a bachelor’s in Biology, Anthony went on to receive his doctorate in Physical Therapy at Drexel University. Anthony has been practicing for 6 years and specializes in Post-Concussive Rehabilitation, Vestibular Rehabilitation and Sports Rehab. Anthony has certifications in IMPACT, FMS, Vision Therapy, Neuro-Ifrah and Strategic Orthopedics. James Macaluso is a New York licensed physical therapist at Professional Physical Therapy. James Graduated with a BS in Physical Therapy in 1988 and advanced his degree to the Doctoral Level, as the field required. James has had an array of work experience including acute care, in and out patient orthopedic facilities, nursing homes, home care, and sports and athletic training facilities. James is also an adjunct assistant professor of Manual Therapy of the spine, for the doctoral physical therapy programs at New York Institute of Technology and Touro College. James accomplishments include a board certification in Orthopedic Physical Therapy, and research on the affects of joint mobilization on the shoulder joint. 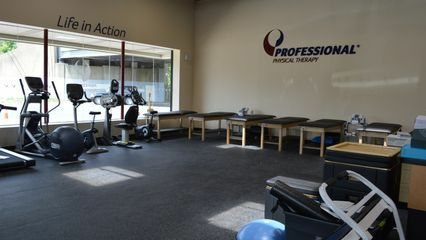 By combining evidence-based practices in manual therapy, neuromuscular re-education, and Therapeutic exercise, James is able to help his clients return to a pain-free, active lifestyle. James creates individualized programs, based on the most current research, to enable each client to work towards attaining their functional and recreational goals. James is a clinical instructor and helps to mentor younger clinicians within the company. Jonathan Basile is a New York licensed physical therapist at Professional Physical Therapy. After graduating from Stony Brook University with a bachelor’s in Health Science, Jonathan went on to receive his doctorate of Physical Therapy at Husson University. Jonathan has been practicing for 2 years and specializes in Sports and Orthopedic PT and Manual Therapy. Jonathan has certification in Graston Technique and is also a member of the APTA.